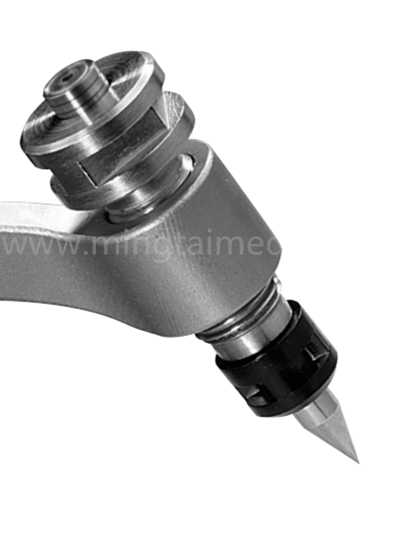 Mingtai company has been committed to research, development and innovation of high-quality, high-performance neurosurgical products. Mingthai brand head fixed system and brain traction system has become the gold standard for the industry. 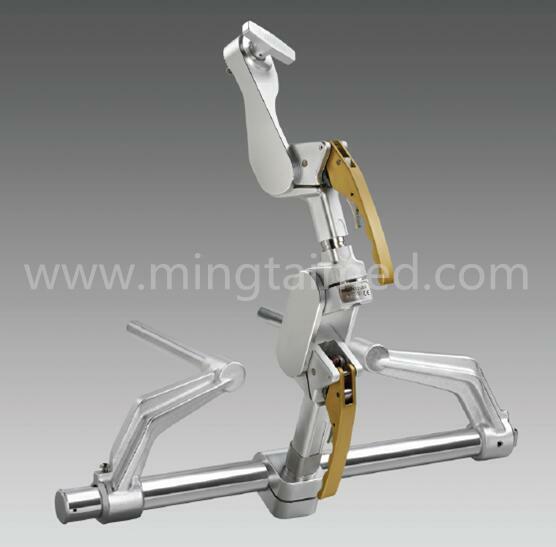 Mingtai head frame made of nickel-magnesium alloy, ensuring the head frame quality meanwhile reducing the weigh, it is the lightest products in the same product, wear, light and easy to install. 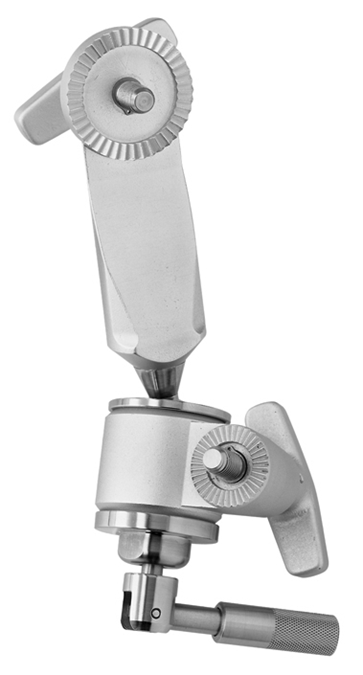 The complete head frame consists of three parts: head clip, universal shaft and base. Technical features: The head clip has an exclusive patented technology, fixed with three screws fixed, three nails can show the pressure, and can be adjusted separately to ensure fixed stability; Skull nail is perpendicular to the skull section to avoid skull nail detachment. Universal axis ball head joint using nano-technology, the joints are tight, you can rotate 360 °, complete a variety of fixed position with the head. At the same time can be configured planetary wheel connector for navigation surgery. 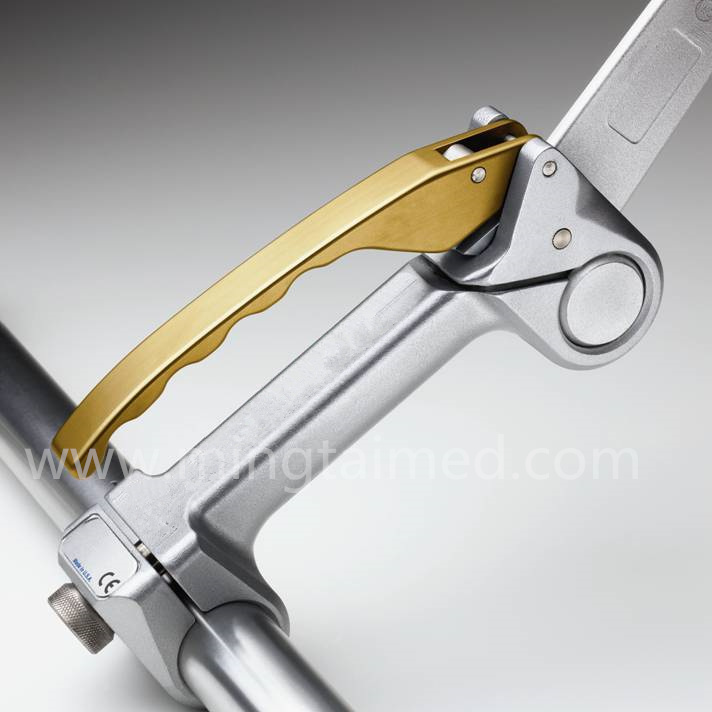 Use inner swallow tail groove design, so that snake arm installed firmly, to avoid accidents caused by slip. 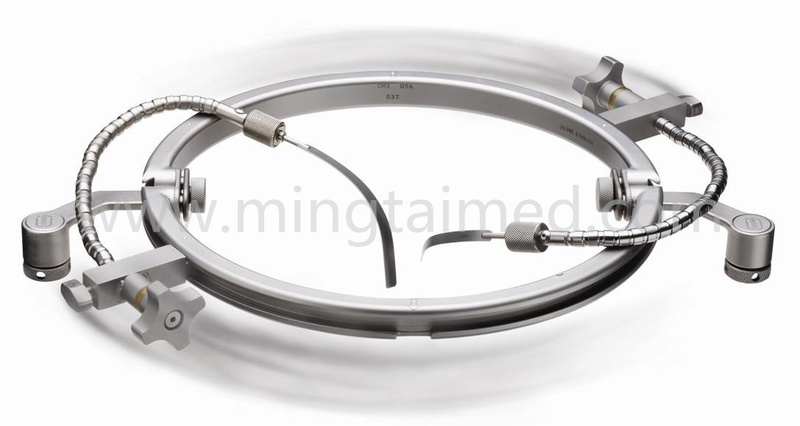 - brain retraction system (head ring) ring design, composed of two semicircle, 0 ~ 180 ° adjustable, can achieve all-round 360 ° continuous stretch to meet the needs of various surgical position. Looking for ideal Medical Head Frame Manufacturer & supplier ? We have a wide selection at great prices to help you get creative. All the Radiolucent Head Frame are quality guaranteed. We are China Origin Factory of Surgery Head Frame. If you have any question, please feel free to contact us.